The AFF course is by far the best and safest way to enter the world of skydiving. You will not only learn to operate and fly the parachute, you will also learn how to control your body during free fall. You will undergo an extensive ground training and lectures. Our instructors will prepare you for every task of the course – jumps from 4,000 meters. 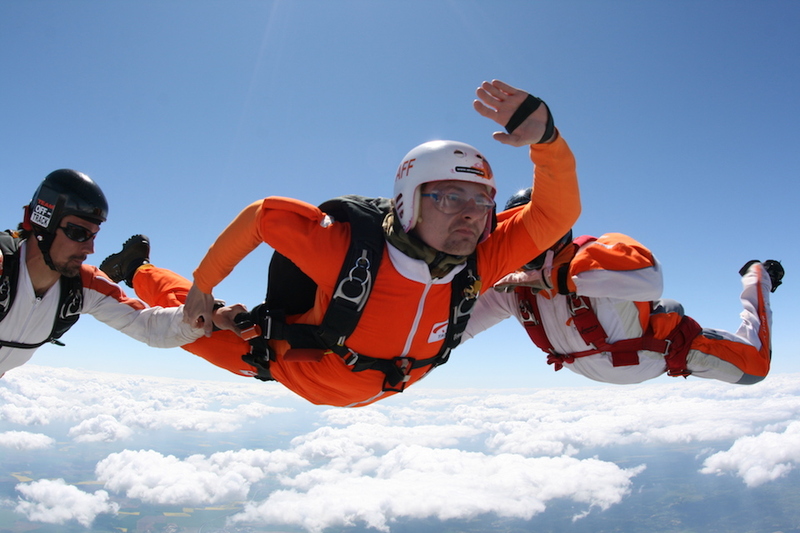 We recommend that you first attend one tandem jump (not obligatory) to review every important task during the jump, free fall and parachute flight. Then you will attend seven individual jumps divided into several categories, including one evaluation jump. 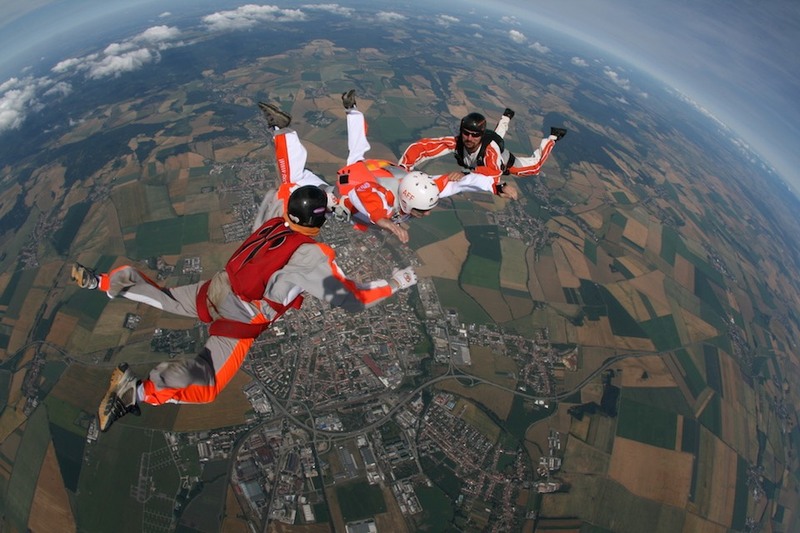 During the first three jumps, you will be accompanied by two instructors. During the next four jumps, there will be one instructor. The instructors will support you at first – holding your hands or even opening your parachute. They will also advise you during free fall. During every jump, there is about a minute of free fall. Your jumps will be recorded. After each jump, you will debreef the video with your instructor, who will point out mistakes and discuss your jump thoroughly. This video doesn’t serve only as an educational material for your instructor but it’s also a memory for you to take home. During the parachute flight, the instructor will communicate with you via walkie-talkie and help you land safely. After completing the AFF course you will have mastered the basic free fall and skydiving manoeuvres. The course lasts on average 4 to 7 days. Our AFF course certificate is recognized all over the world. Once you complete this course, you can jump wherever in the world. Once you complete 25 jumps, you will be given a skydiving license. This license is issued by either Civil Aviation Authority of Czech Republic or the United States Parachute Association.